As 2016 draws to a close I find it is time to reflect, rejoice and set goals for the forth coming year. In 2015 Toddlers on Tour had over 30 000 pageviews (twice that of the previous year). My aim is always to continue to grow, phew I did 🙂 with 55000 page views in 2016 – almost doubling my numbers again. The most popular page being my Packing List for Family Travel. So let’s check out what else happened on Toddlers on Tour. I started off the new year with a new series of blog posts called Arm Chair Travel where I shared my favourite travel blog posts I had found on the internet. I also continued on with my Photo Flashback series with a recap of 2015: My Family Travel Blog. Then I showcased things to do in Penang. I also added my hotel review of the Sanur Paradise Plaza Suites from our Bali family holiday in October 2015 and created my first infograph detailing the essential toiletry items to pack. Whilst we didn’t go away during the summer we did get out and about in Perth. We took a step back in time on board the Titanic, found the secret ingredient to eating out with kids, discovered how amaze-ing is Outback Splash and explored the new Elizabeth Quay. I created another infograph showing what not to pack when you travel. Also I made two more Photo Flashback posts from our Bali family holiday: into the wild on Bali safari journey and Camp Splash in Sanur, Bali. Then rounded off the month with Arm Chair Travel #2. I was really enjoying creating these new infographs so made one on things to do in Bali. I also talked about how our Bali family holiday didn’t go to plan. This months Photo Flashback was things to at Hard Rock Hotel Penang. I finished off the month with Arm Chair Travel #3. I spent much of April renovating my old unit that I had purchased before meeting my husband Steve. So whilst I felt like a contestant on The Block (an Australian renovation show) dashing about Perth trying to completely renovate an entire unit in a few weeks; it mean’t that Toddlers on Tour suffered with lack of new content. I only managed to publish Arm Chair Travel #4 and debate the benefits of staying in serviced apartments v’s hotels. However we did manage to get away for a few days in the April school holidays to Busselton and the Margaret River Region. We stayed at the lovely Big4 Beachlands Holiday Park. Spent a fun day at the Amaze’n Margaret River and another tasting our way around the Margaret River Region. Then I finally finished off our my series of blog posts on our Bali Family Holiday 2015: with a list of all the stories. I also created another infograph with things to do in Phuket. 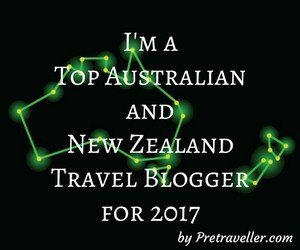 At the end of the month I looked back at my favourite travel blog posts found on the internet with Arm Chair Travel #5. I continued on with our getaway to Busselton with Ngilgi Cave: the original Margaret River tourist attraction and a round-up of all the Busselton posts: A small family holiday to Busselton. Next I looked at how to do Sydney on the cheap. I also wrote a guest post for Bali Kids Guide highlighting how to find the real Bali. I got Arm Chair Travel #6 out a couple of days late – so it fell into July. 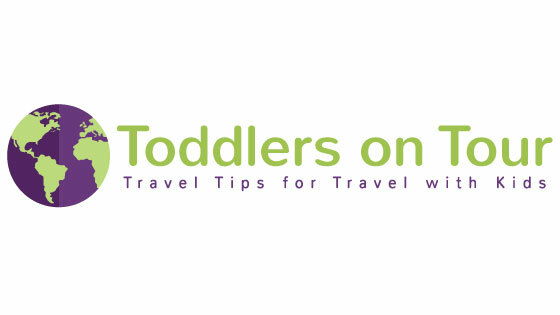 I felt it was time to get back to the basics of Toddlers on Tour – providing you with travel tips for travel with kids. So I wrote two travel tips posts this month: the hidden costs of travel and how to plan a holiday with kids. I also welcomed a guest post from fellow family travel blogger Keri from Our Globetrotters (formerly Baby Globetrotters) who shared Dubai, Abu Dhabi or Qatar: which is the best Middle East stopover. August began with a a look at my favourite travel blog posts found during July with Arm Chair Travel #7. I created an infograph on things to do in Penang (one of my favourite destinations for a family holiday). Then I wrote about a not so good moment in our family holiday to Singapore when our son was a toddler. I discussed the extras I add to packing for kids and wrote a guest post for Our Globetrotters on things to do in Fremantle with Kids. The month started with looking at the best family friendly hotels in Malaysia. Then as I prepared for our main yearly family holiday I created a pre-travel checklist to help stave off anxiety. This year we took another Bali family vacation. 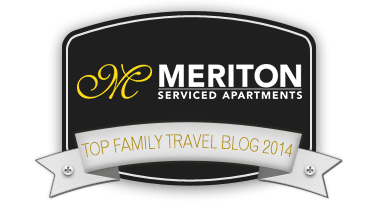 Whilst we returned to the Sanur Paradise Plaza Suites we spent a day at their sister hotel exploring the family friendly facilities of Dynasty Resort. There are so many different types of accommodation you can choose from when travelling with kids, here are six types of family holiday accommodation. When you travel with kids you also need to find great places to eat, we found plenty of good restaurants in Sanur, Bali. Whilst in Bali we spent a day experiencing the thrills and spills of Waterbom Bali. Then back in Perth we headed over to Rottnest island to discover what to expect for Rottnest Carnivale. Another day mustering up at the Perth Cow Parade. Before we began looking forward to Santa’s Christmas Carnival. All of a sudden it’s December, I began madly Christmas shopping, baking and preparing gift hampers for my husband clients. I found some great Christmas gift ideas for the kid who travels and explained what you need to know for the Perth Santa’s Christmas Carnival next year. Did I achieve all that I set out to do – not entirely. I had hoped that my new travel tips blog would be up and running full steam ahead. But alas Tips 4 Trips is just getting off the ground now. Tips 4 Trips will focus on travel tips for not only the family traveller but also the backpacker, singles, couples and seniors. 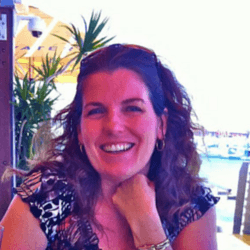 I aim to have travel tips to help plan Your Travel Dream Your Way. If you know of anyone trying to plan their dream holiday please point them towards Tips 4 Trips Facebook page or sign up for the Tickle Your Travel Dream e-newsletter. So for 2017 I aim to continue to grow Toddlers on Tour and also focus on Tips 4 Trips. I haven’t set any goals for the year but I have lots of places I want to visit so I think I need to write out a list. Have a great year! That is the only problem with have a wanderlust nature – there are endless places to visit, once you have ticked of those on the list new ones appear. All the best for 2017 Anne. You had quite a few good travels this past year, Sally-Ann. Do you have any trips planned for 2017? Wishing you a great travel year! Nothing concrete yet Anda but a few ideas are floating about with Vietnam high on the prospects and hopefully another getaway to West Australia’s south west. I really enjoyed your posts about Penang. After living there for 3 years, I always like to see what others do when they’re there. I’m also glad to know that I’m not the only one who takes a few months to finish blogging about a trip (or in my case, years). For Americans, Bali is a VERY exotic place to visit since it is so far away. It’s interesting that Australians consider it more of an easy and economical getaway — like Cancun, Mexico is for Americans. All those destinations are so exotic for Australians, just like Greece and Spain which are short getaways for those in the UK. Interesting that where you are based determines what is exotic and what is budget. I’m glad you enjoyed the Penang series, I hope I brought back some happy memories for you Michele. What a fantastic year you and your family had! Congratulations for doubling your traffic and accomplishing more on your blog and the new site. Love the diverse places you visited. 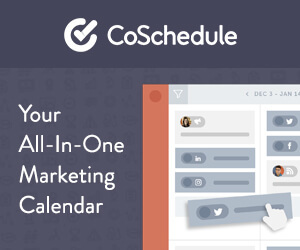 Your infographics are great! Wishing you a wonderful 2017 and many more travels. Hoping to be more organized in 2017!